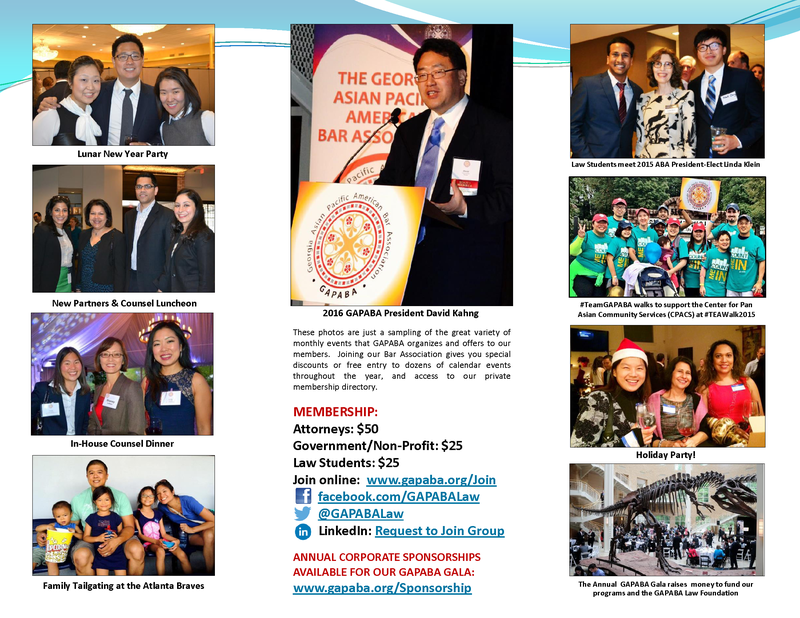 Membership has many benefits--discounted or free entry to many of our events, inclusion on our e-blast distribution list, the opportunity to be highlighted on social media, and certainly the incredible benefits of networking in a diverse and inclusive bar association. 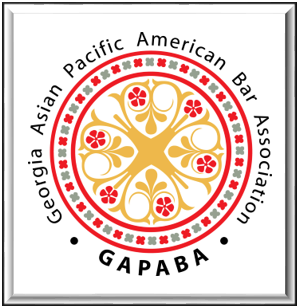 Our Annual Gala is regularly attended by over 400 guests and attracts over 40 General Counsel and dozens of in-house counsel, judges, elected officials, and other VIPs. We also enjoy the annual Corporate Sponsorship of many of the largest firms and Fortune 1000 companies in Georgia and around the country. 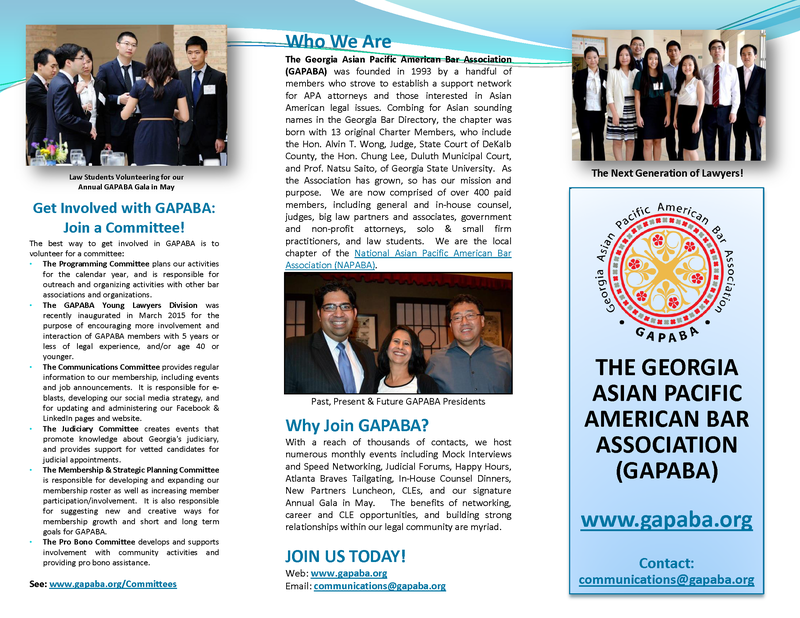 Upon receipt of your dues, GAPABA will email you a MEMBER LOG-IN which you can use to personalize and update your profile at any time. Use your membership email and create your own password for special access to the membership directory and exclusive members-only events. You will receive annual renewal reminders. PLEASE NOTE: When entering your membership profile, your information will be published on our membership directory, which is made available to our members as a benefit. If you do NOT want your information to be public, PLEASE CHECK YOUR PRIVACY SETTINGS ON YOUR MEMBERSHIP ACCOUNT.